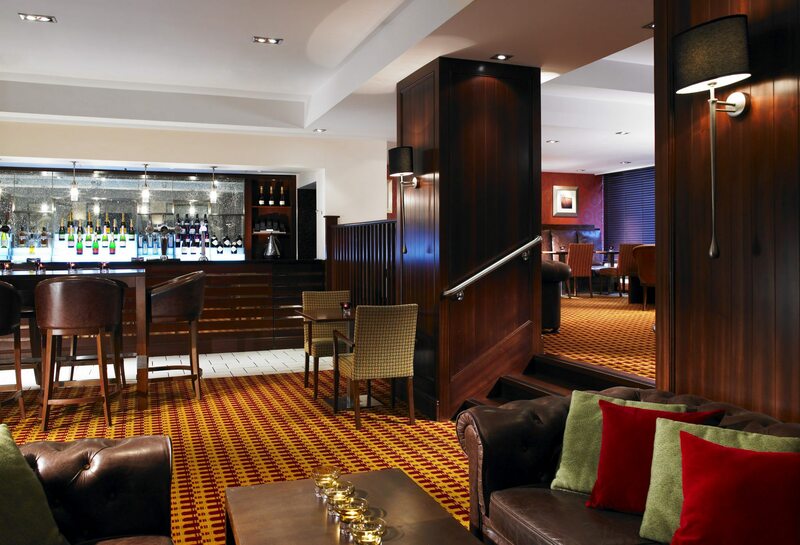 Treat yourself to 4-star service and an unparalleled location in city centre here at the Cardiff Marriott Hotel. Whatever your reason for visiting the capital city of Wales, you will be delighted with our stylish accommodation, onsite dining and close proximity to many popular landmarks. Spacious and comfortably appointed hotel rooms and suites offer free Wi-Fi, deluxe pillowtop bedding, large workspaces and 24-hour room service. Enjoy a workout in our fully equipped fitness club, swim in our heated indoor pool or relax in the hotel sauna. Zest Restaurant features fresh cuisine sourced from here in Cardiff and elsewhere in Wales. Chat’s Cafe Bar offers terrace seating and a relaxed atmosphere. Those planning meetings here in central Cardiff will appreciate our onsite venue space, capable of accommodating up to 400. And with city centre attractions including Millennium Stadium just minutes away, you will have plenty to keep you busy during your visit. Book your stay now at the 4-star Cardiff Marriott Hotel! Chat’s Lounge, our stylish bar and restaurant, serving delicious cocktails and great beers, screening all sporting events on our two big screens. Enjoy a fantastic burger or pizza and soak up the sun on our terrace in warmer months. Showcasing seasonal cuisine and Welsh-only suppliers, Zest, our signature hotel restaurant, has quickly established itself as one of the go-to spots on Cardiff’s vibrant Mill Lane. Enjoy fresh, flavourful meat, seafood, & produce in a relaxed atmosphere. From the M4 take J29 (Westbound) or J32 (Eastbound). From J29 follow A48M East heading for Cardiff Bay. Exit at the Llanedeyrn and Newport Road exit and follow signs for City Centre, stay in the middle lane. At the next set of traffic lights go straight ahead, continue onto Newport Road for 3 miles and follow signs for Cardiff Bay. Follow the road until you reach a set of traffic lights and just after passing under a railway bridge, take a left turn, follow past Queen Street Train Station. At traffic lights take a left turn, follow for 600 yards, and at next set of traffic lights turn right. At traffic lights turn left and go under a bridge, at 2nd set of traffic lights turn right, follow to roundabout and take 2nd exit off the roundabout. Go under the railway bridge and at the traffic lights turn right into Mill Lane. The Cardiff Marriott Hotel entrance is situated 100 yards on your right. Turn right into the hotel and follow the ramp down to the car park. From J32, follow signs for the city centre. When driving down North Road, turn left onto Boulevard de Nantes and follow the road around. Stay in the right hand lane and turn right at the set of traffic lights before going under the railway bridge. Follow past Queen Street Train Station. At traffic lights take a left turn, follow for 600 yards, and at next set of traffic lights turn right. At traffic lights turn left and go under a bridge, at 2nd set of traffic lights turn right, follow to roundabout and take 2nd exit off the roundabout. Go under the railway bridge and at the traffic lights turn right into Mill Lane. The Cardiff Marriott Hotel entrance is situated 100 yards on your right. Turn right into the hotel and follow the ramp down to the car park. A five minute walk from Cardiff Central Railway and Bus Station.